Babies, it seems, come bundled with oodles of oxymorons. The most obvious, they are at once the most difficult and wondrous charge. They are instantly your reason for living, yet you find your self dissolving in their place. They lead you to discover your most amazing virtues and talents, and your most painful flaws. I guess I should stop using the second person here and start using the first, though. Because I've never before appreciated just how individual an individual can be before now...all I can really hope to grow to understand is my baby, my flaws, and hopefully some virtue here and there. Like with everything, I'm finding life with baby analagous to kitchen dailiness as well. Like, the ongoing trend of cooking all day to save time. Week after week, I'm singing praises of the slow cooker like a broken record...though that analogy is itself is kind of an anachronism. The slow cooker, however, is my absolute saving grace right now. Another bit of kitchen irony for me, appreciating just how creamy bird food can be. Millet is one of those grains increasing in popularity alongside the ride in gluten free living. It has long been most recognized as the main ingredient in bird seed, but now it's becoming better known for being delicious, especially when when adding a nutty, popcorn crunch to things like millet bars. A cup cooked provides 19% of the recommended DV for magnesium, known for its great heart healthy benefits, and it is a good source of phosphorous, fiber, and a bunch of other good stuff, too. Millet has versatility too, or so I'd seen/read/heard but not put to the test. My almost sole use of these tiny grains to this point has been has been making aforementioned yummy millet bars. This week I finally decided to trial millet porridge instead. I love porridge, and could eat oatmeal for breakfast, lunch or dinner pretty happily most days. 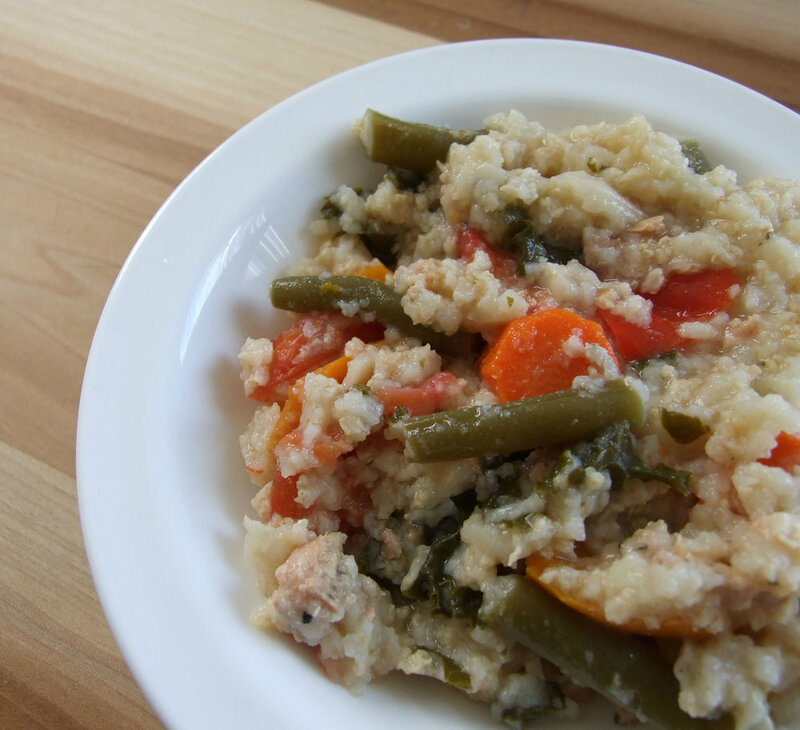 This, though, is a savory, veggie-packed porridge, and like lasagna, I actually prefer it the next day, when it takes on more of a porridge quality as opposed to stew or soup. It's better warm but decent cold, and you can eat it pretty easily with a spoon in one hand. Probably not your top criteria for determining if a recipe is worth trying, but a top attribute for me at this juncture. There's a lot of room to improve on this recipe, but that's part of the greatness of this ancient grain. It really can handle a lot of experimentation, whether you want it crunchy, soft, sweet or savory. Really not just for the birds, though that's awfully useful, too. Place all ingredients in slow-cooker and stir. Cook on low for 6-8 hours or until vegetables and millet are tender.